The Xfinity TV Go is Comcast's way of letting customers take some of the channels they're already paying for and stream them to an Android device. For something that doesn't cost extra—thankfully, considering the high price of cable—it's a nice perk. Comcast has recently brought the list of supported channels up to over 70 with the addition of AMC, BBC America, FOX Deportes, MOVIEPLEX, Showtime, Univision Deportes, and The Weather Channel. The full list is available to browse through online. These networks joined those added back towards the beginning of 2014. Over the course of a year, the company has more than doubled the number of supported channels. Apparently around a third of Comcast's Xfinity TV customers now use its TV Everywhere apps to watch shows from computers and mobile devices. With such rapid growth, you can expect more channels to make the leap soon enough. PHILADELPHIA--(BUSINESS WIRE)--Comcast today announced that in just over a year’s time it has more than doubled its catalog of live streaming networks on the Xfinity TV Go app and website to more than 70 channels. Among the list of recently added networks now available to enjoy on-the-go are: AMC, BBC America, FOX Deportes, MOVIEPLEX, Showtime, Univision Deportes and The Weather Channel. The new offerings extend the growing list of current TV programming available to watch live - anytime, anywhere. Comcast saw tremendous growth and adoption of TV Everywhere in 2014 and that momentum continues into 2015. More than thirty percent of Xfinity TV customers are using TV Everywhere monthly to tune into their favorite networks on-the-go, averaging about 20 percent growth year over year. Moreover, the average viewer consumed more than 7 hours per month on Xfinity TV Go, up nearly 40 percent from the same time last year. 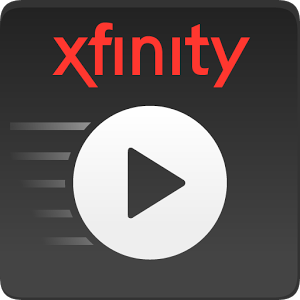 Available for Android and Apple devices, the Xfinity TV Go app has been downloaded more than 11 million times. In addition to more than 70 live networks, Xfinity TV Go offers approximately 21,000 on demand choices to stream on mobile devices, as well as nearly 466,000 available online. Many of these are also available to download and watch offline later. For more information on Xfinity TV Go, please visit www.xfinity.com/TV.